We run weekend restoration courses. 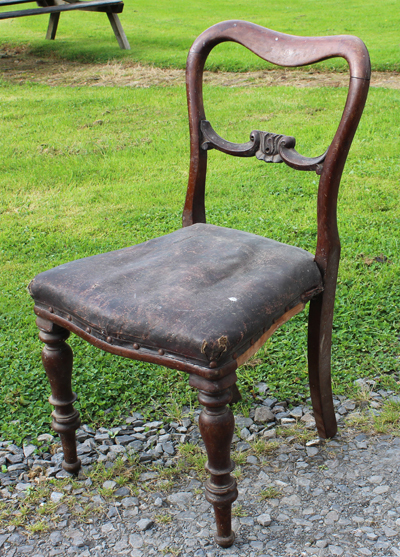 We also sell and restore antique furniture and seating. 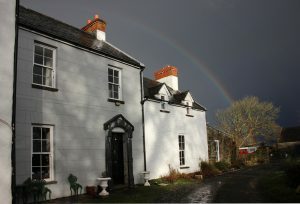 Course Price is €195.00 per person. 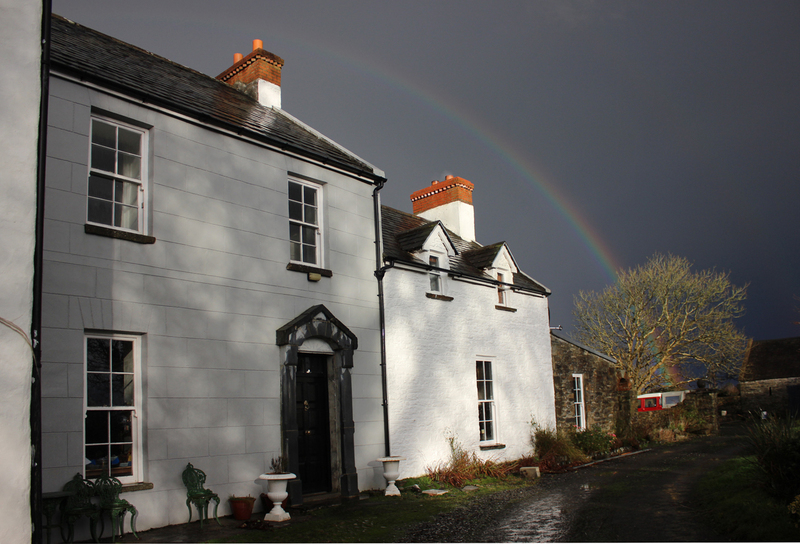 We’ve been running weekend courses at Clooneenagh for over twelve years now. We are the original and we should be flattered that over the years we’ve had a few imitators so we’ve seen various slightly re-worded versions of our website offering something that looks similar. They come and go but we are still here because so many people want to come back. 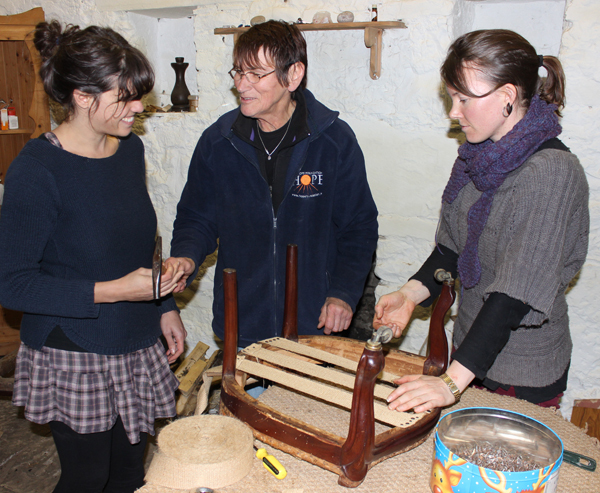 The most popular course is the Beginner’s Upholstery and Antique Restoration weekend. We take a maximum of five people at any weekend. 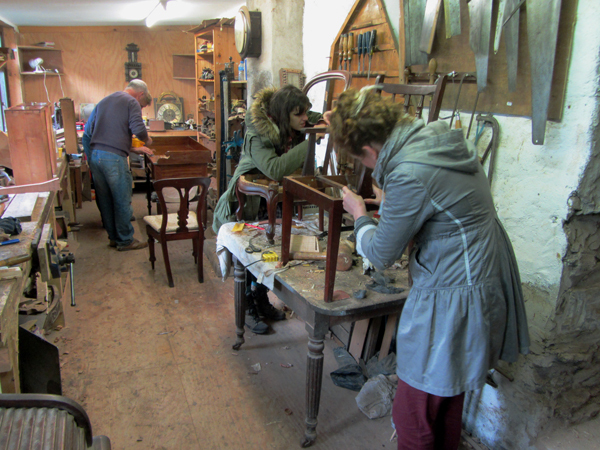 We work through broken down and wobbly chairs and all sorts of scruffy or broken furniture. 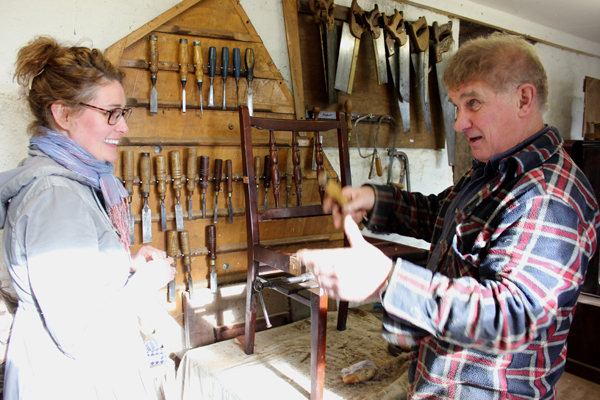 Nigel guides through the various stages involved in the wood-work aspects: Pepie looks after the upholstery and natural fibre seating. We put the tools in your hands and show you how the work is done. In our weekend courses you can learn about the social history of furniture and how to interpret antique furniture. How the social, political, economic, religious and aesthetic history of Europe shaped our furniture. You can learn how to distinguish between the genuine article and the fake. Our courses are designed around novices but lot of people return with more challenging projects. We start about 9:30 each morning and aim to finish about 6 ish but we don’t mind if anyone wants to work on longer with a project. 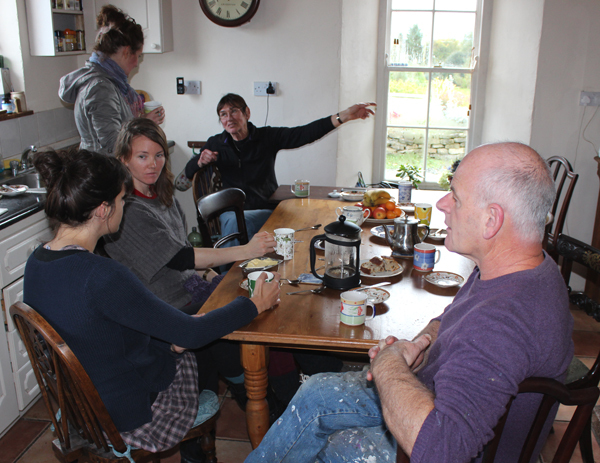 Pepie provides tea and coffee breaks and lunchtime is an opportunity for discussion about anything at all. Its also an opportunity to research aspects of furniture from the collections of books about the subjects of the courses. Pepie does the upholstery in the old coach house. We provide the basic upholstery materials, springs, webbing and stuffing fibre. But we don’t keep a stock of upholstery fabrics so for anyone with definite design ideas its a good idea to bring fabric. 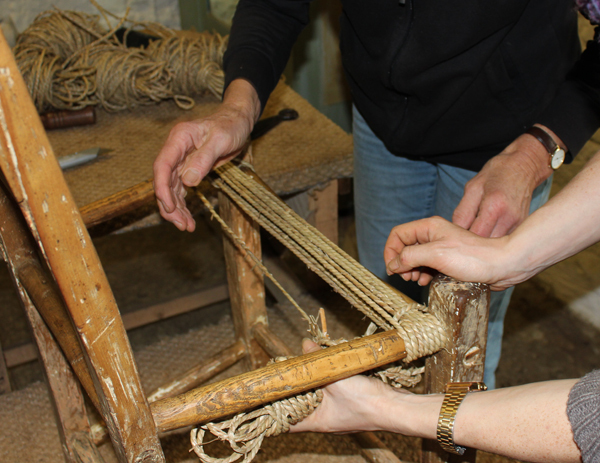 Pepie also does the natural fibre seating projects which includes cane-work, rush and traditional Irish (sugan) cord seats. Click here for the natural fibre seating page. 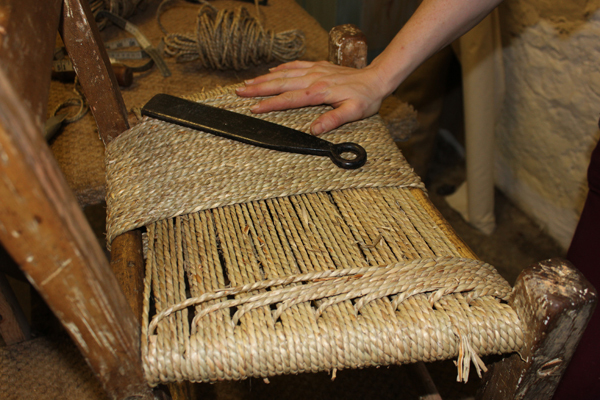 Again we provide materials – the fibre in this picture is Seagrass, we also have 3-ply Sisal cord. 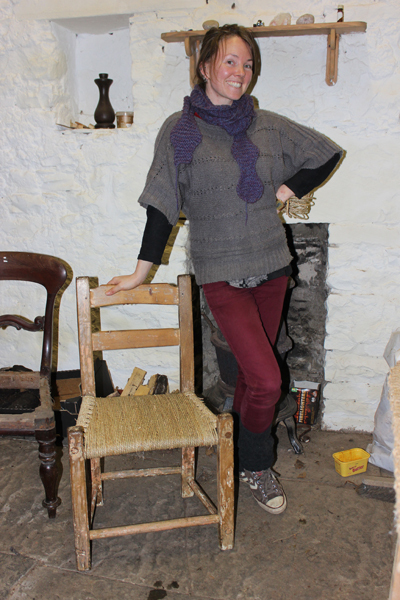 In this North Clare chair, the weave is started by winding from side to side and at every fifth loop, the cord is passed over the front spindle. The chair frame is wider at the front than the back but as the weave is built up, the pattern will correct for that difference. The cord is tapped with a wrapping iron to keep it tight of the frame. To finish, the cord is looped from front to back. 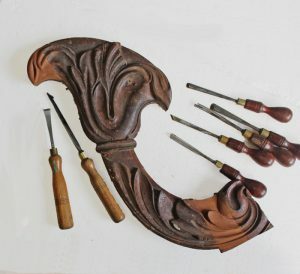 Antique restoration involves a wide range of skills including wood turning and carving. We run other courses – Nigel and Austin do the clock repair and appreciation weekends and Nigel also does weekends on clock cases. 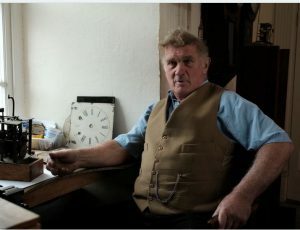 Nigel and Austin’s book about longcase clock maintenance and restoration was published by Crowood Press in July 2013. Nigel’s second book, written this time with Karo Ilmonen, is about making and repairing clock cases. It was published in October 2014. The country chair making course is slightly different. A maximum of two people but it is done more effectively on a one-to-one basis. Once you pay the € 195 your place on your specified course is guaranteed. If subsequently you want to cancel we will fully refund if you give us a month’s notice. With less than a month’s notice we will refund if we can find somebody to fill the cancelled space. If you find you can’t come on the date you booked, we will change your booking if you give us a month’s notice. With less than a month’s notice we will change your booking if we can find somebody to fill the cancelled place. Choose your date and Book your course now!